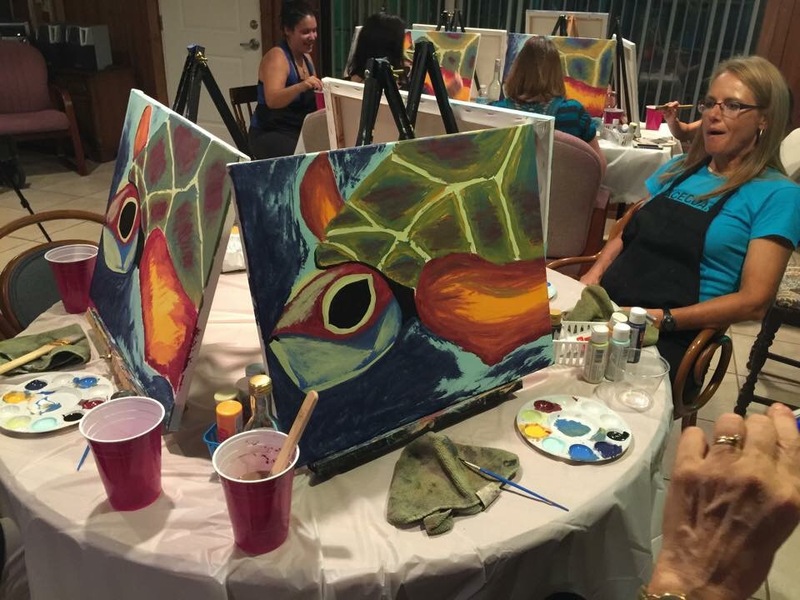 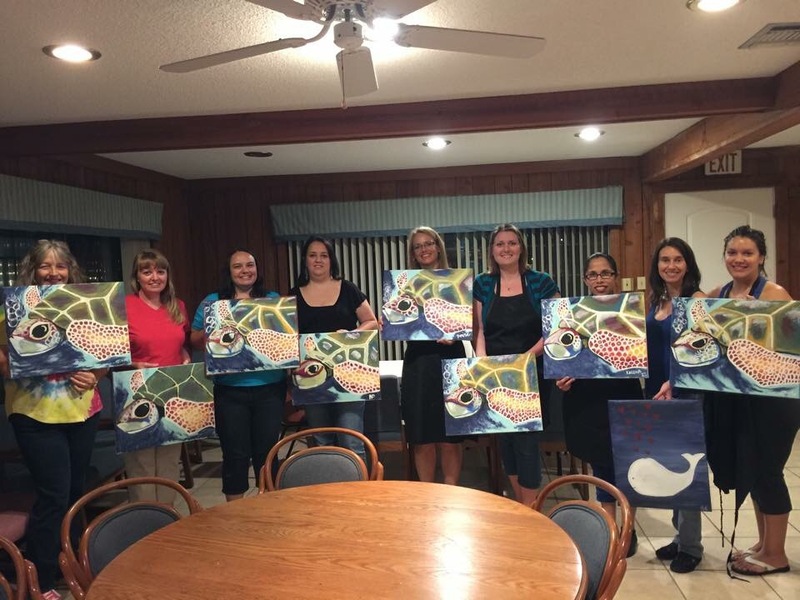 For our most recent Moms Night Out, the club hosted a wine and paint party with fantastic local artist Dove Yepes. 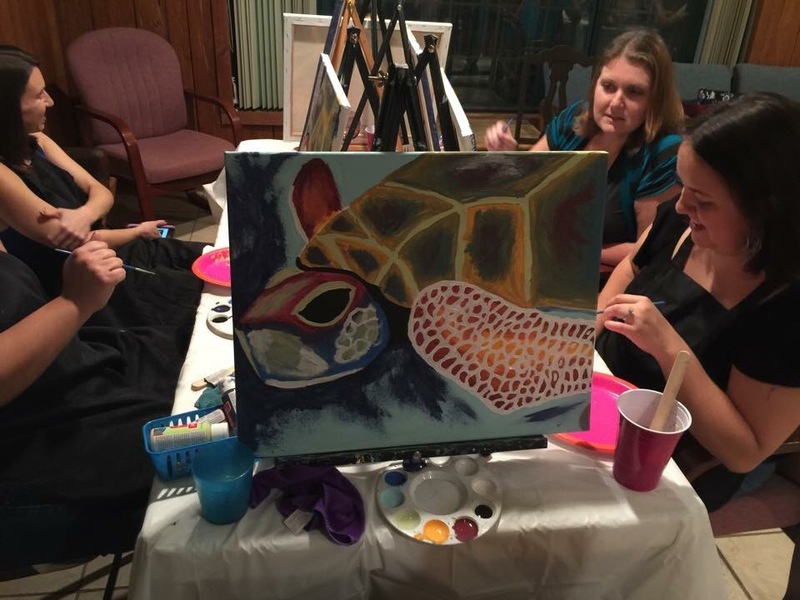 Check out our fantastic turtle paintings (and the one misfit whale that got thrown in somehow). 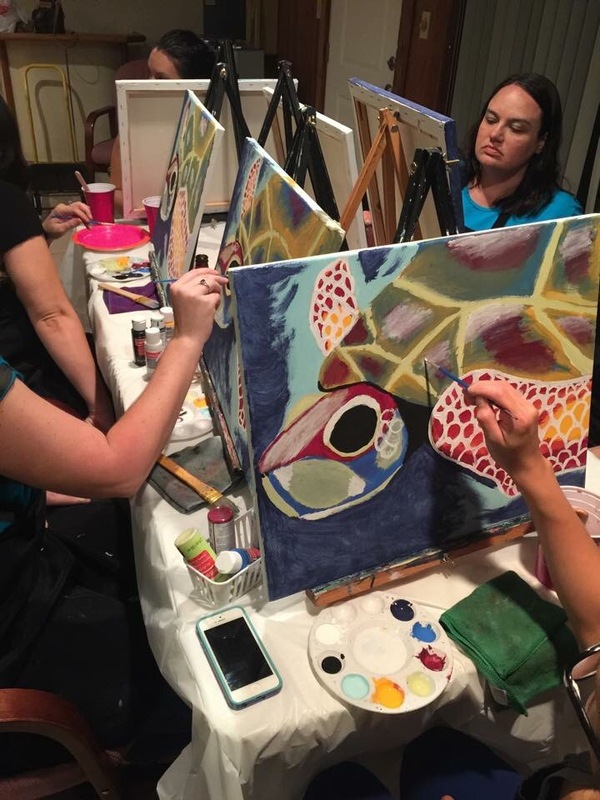 Be sure to join us for our next event. 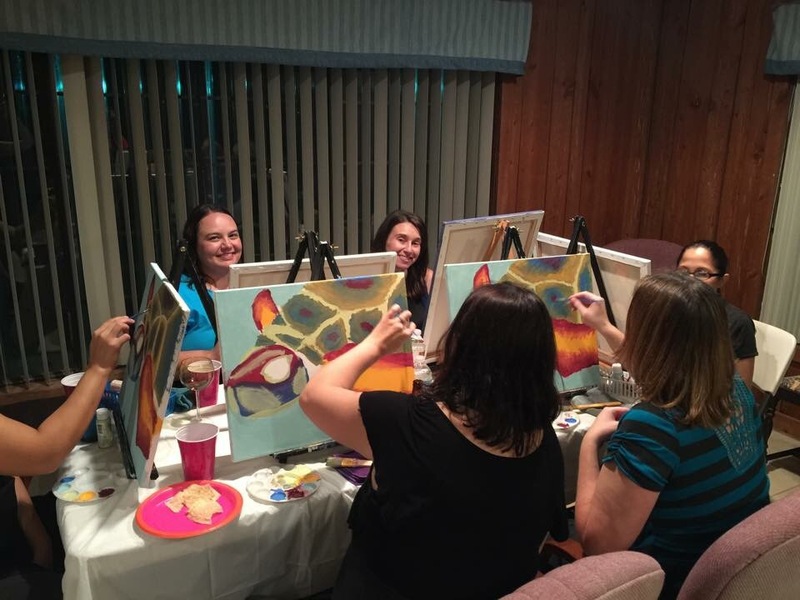 Our general meetings are the third Wednesday of every month, plus we have some play dates coming soon with this cooler weather!